<var> tag is used to display a variable. That can be a mathematical expression or a computer code. <var> tag is also known as Phrase tag. <var> tag is supports both Global and Event attributes. The <var> tag is belonging to Phrasing content category. 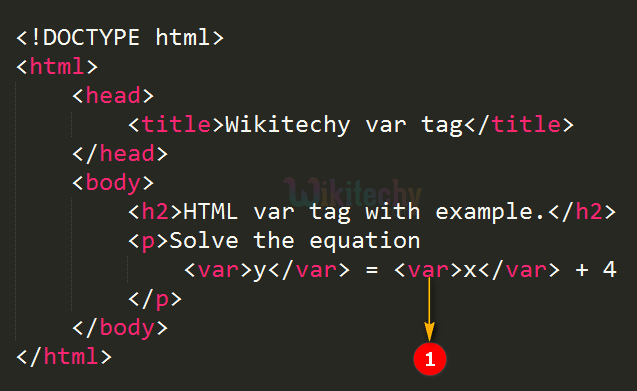 <var> tag is used to define “y” and “x” as variable. 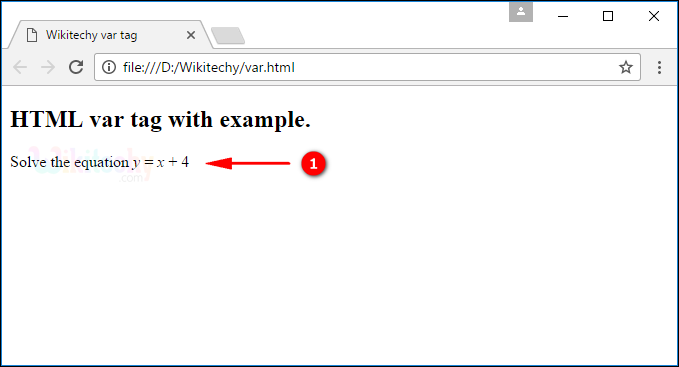 “y=x+4” in this equation x and y are defined as <var> so that it will be shown in different formatting.